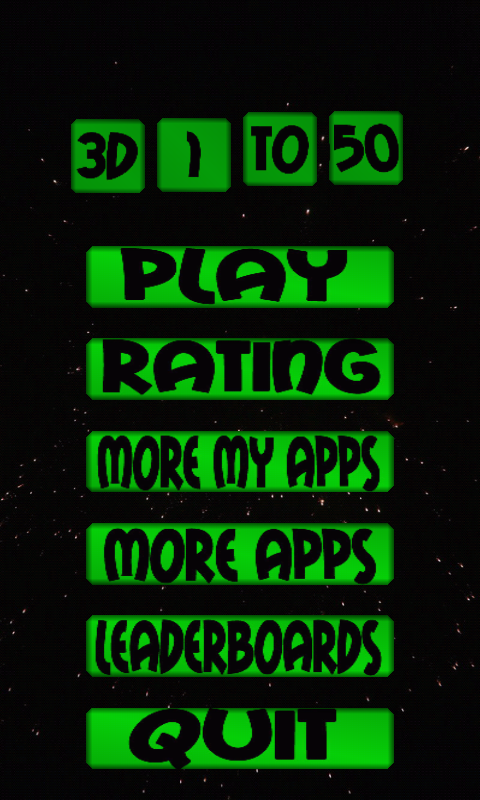 3D 1to50 is an easy and addictive game. 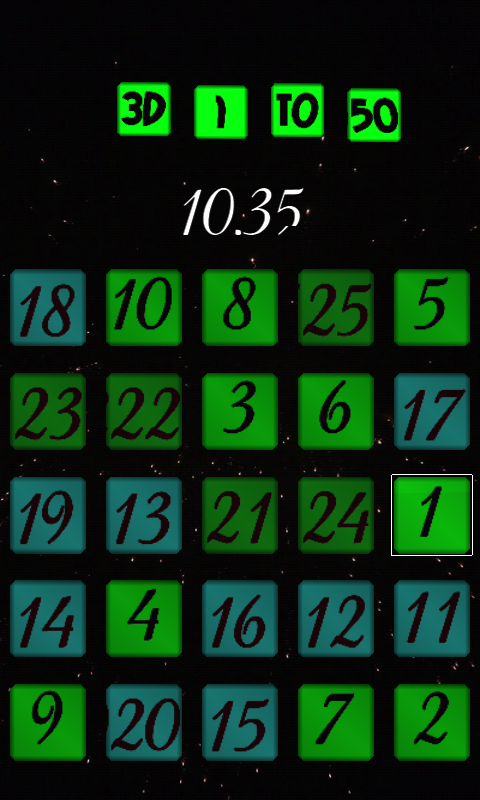 Try to tap all the numbers from 1 to 50 as fast as you can! Compare your score with others from around the world. ► Rule：Tap the numbers from 1 to 50 as fast as you can ! ► so easy to addiction. ► support vibration. Special Feature: ► 3D 1to50 don’t like 1to50、1to25、tap number is a 2D game, 3D 1to50 is a full 3D game, use 3D cube to represent number、menu item、title., Social ► World Leadboards: Compare your score with others from around the world. 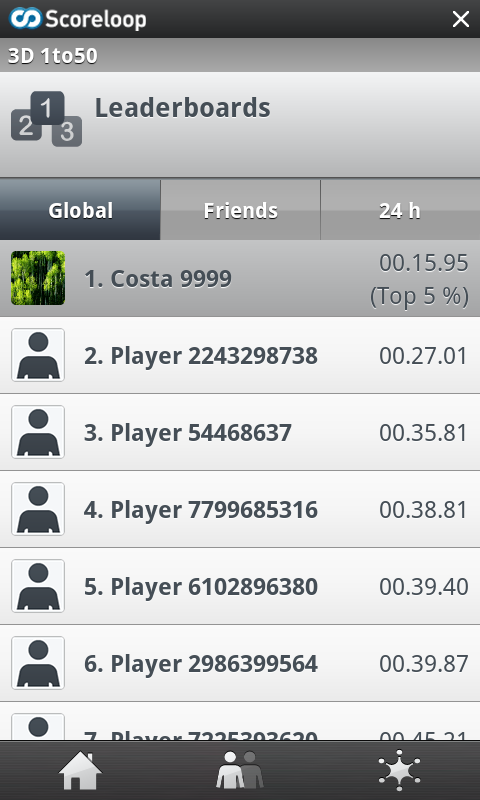 ► Friends Leadboards: Compare your score with friends ► 24H Leadboards: best player in 24 Hour. **Feedback** Are you experiences any problems, or do you have any feedback? Just ship me an e-mail to developerjoy@gmail.com. Hope you can give me a comment and rating, making me more power, thanks. Thanks www.visualpharm.com supply icons.